As I visited Bali twice (and not the last time for sure) I consider myself relevant to give you some tips at first hand. Honestly these small suggestion will save you some money and reduce your stress to minimum. That means you will have lot more time for pure relaxation and enjoyment. So let’s start with some useful guidelines. 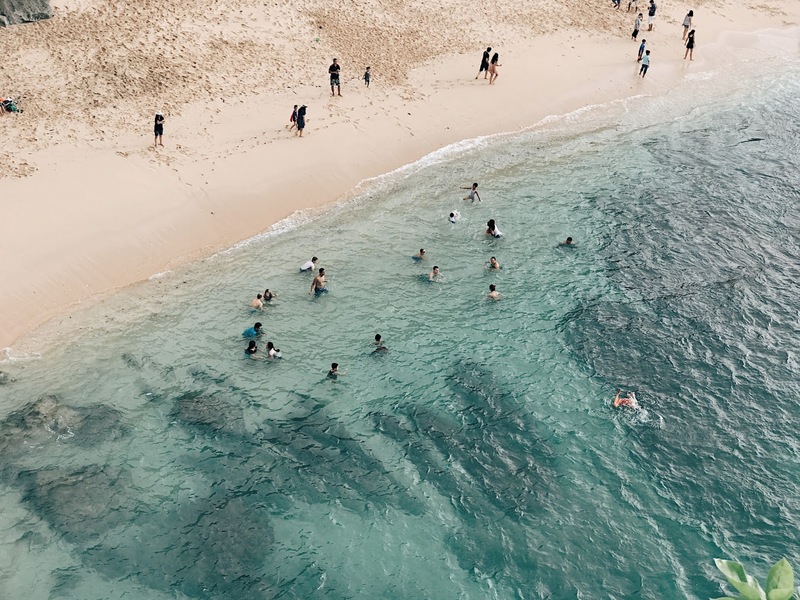 1.To enter the Bali No Visa is required for majority of countries (more then 140 ) – FREE entry up to 30 days, not extendable; passport must be valid 6 moths (common thing with Visa regime). For more informations check here. 2. Change small amount of money and rest pay with credit card. Most of the shops, restaurants and bars accept Visa and MasterCard so you will be safe and sound during your stay. Usually they will charge you some extra provision of around 1,5% on you Visa card. 3. Rent a scooter for explore the island or daily transport. Definitely avoid cars; traffic jams will kill your adventures spirit in a second. Is not a new thing that bad traffic is common thing in Asia; I’ve experienced it several times in different cites and different times (Bangkok, Beijing, Shanghai, Hanoi etc.) But traffic jams in Bali can come close to those ones in China and you don’t want to find yourself in it. Advanced scooter skills are required. 4. In all countries in Asia bargaining over the things are highly expected. Especially for taxi, massages and scooter rental. In Bali you can rent scooter for 3/4€ per day; around IRD 50 000, try even get better price if you are renting it for a longer period of time ( month or longer). 5. Drink only bottled water, this is a common thing around Asia. But the good thing is that the water in Bali is so cheap; you can get a liter of water for less then 0.5 €. Be careful with a food as well, even I didn’t have any problems, that doesn’t mean you won’t get some kind of food poisoning that will last for few days. 6. Take medicine from your home country just in case scenario from the previous chapter gets serious. It’s better to have medicine you know how to use and have it right away when problem happens. 7. Avoid holidays like Christmas and New Year as the prices of accommodation goes 30% up and same thing happen with a traffic jams. New Years Eve can be really stressful if you decided to have fun in the city and don’t do that by walk. 8. Be careful with booking accommodation as most of the photos on sites are from 10 years ago and looks at least 10 times better on pictures. To avoid disappointments book a newly built hotel or villa to be sure that they are still in good conditions. Climate with high temperatures and lots of rain combined with a cheap materials make this accommodation rubbish in a short period of time. This is very important advice as you don’t want to spend your money for a room that stinks on humid. 9. Best time to visit Bali is around June and July when the weather is dry and mostly sunny. But I visited Bali in January and February and had great time, with short heavy rain showers but it was perfect to cool down the temperature. Temperatures fluctuate around 30 C but there is no that much rain, especially in parts around Kuta and Seminyak. If you decided to visit countryside of Bali definitely take a rain coat and protection for mosquitos. Ubud is the one of the most touristic palaces of Bali’s countryside where weather changes at least few times during the day; from heavy rain to tropical +30 C. Please make sure to accept this device for your safety. 10. Before the trip make sure to buy a sun protection as your skin will be shocked with a drastic temperature change. Even I got a sun burn and I’m really dark skinned by nature. Grey skies can be tricky but that’s usually the time when most of the people get sun burn as we think there is no sun at all. Be smart and use sun protection all the time while you enjoying Bali. 11. Most of the public parkings are not that “public”. There are local people waiting in front of the most beaches asking you to pay the parking. Even the price is symbolic, around 0.50€ and less, you can avoid that simple by parking 10/20 m before on a side walk as there are no police who will move your motorcycle. 13. If you are visiting Bali for their public holidays make sure to inform yourself before. In this case It can be a great experience but as well a cold shower. Nyepi day is a big day for the Balinese. Basically, on that day, the day of silence, you will be confined to the grounds of your hotel. There will be minimal lighting and minimal noise. The hotel will provide meals etc. In the end most of the Balines People are nice, warm and willing to help but also be careful as they felt western money and slowly change to be annoying and very smart with a ways of taking out your money.So guys I really hope this article will help you in your next trip to Bali until then play yourself once again “Eat Pray Love” and fall in love with this island. how to eat healthy, stay fit and travel? Post-travel depression; inevitable or not ?